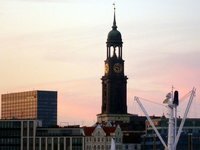 Be one of the first to meet high above the rooftops of Hamburg at the brand new conference and convention location and leave a lasting impression on your clients. With four modern design rooms, state of the art technical equipment and a professionally equipped kitchen in front of the harbour panorama of Hamburg the location is most likely to become the city’s most prestigious venue for business meetings, corporate events, incentives and get-togethers at the highest level. The conference breaks with premium food and homemade drinks, such as fruit and vegetable smoothies will be served at “heaven’s Kitchen”, the professionally equipped kitchen with a view over Hamburg.